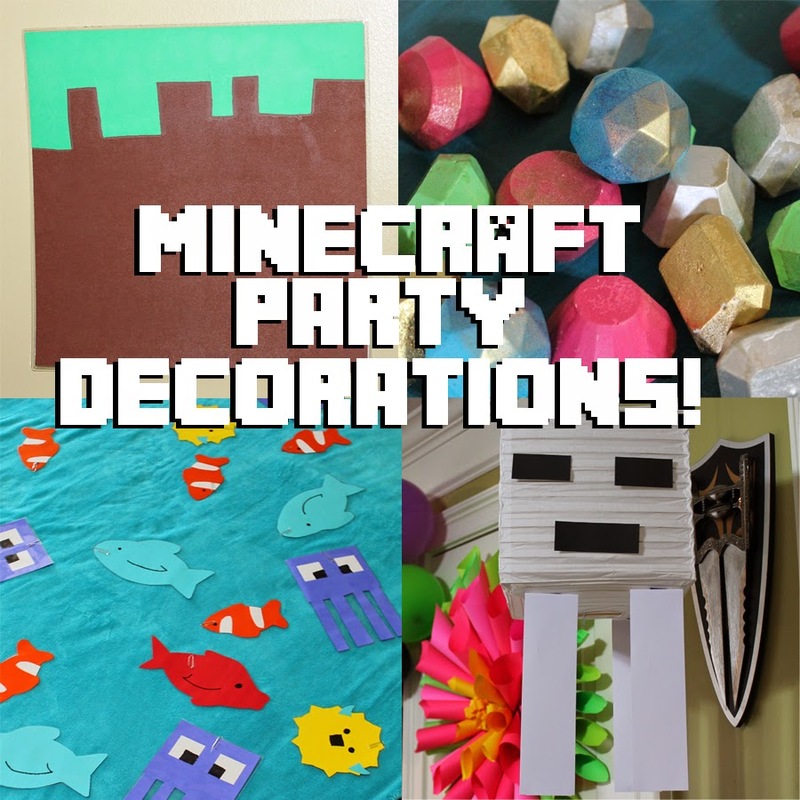 Doodlecraft: Minecraft Crafts and Decorations! and therefore only good for ice cubes or non foods. Poured it in the mold and let it harden. Popped them out and let them cool and harden completely on a cookie rack. them with some metallic gold for shine. 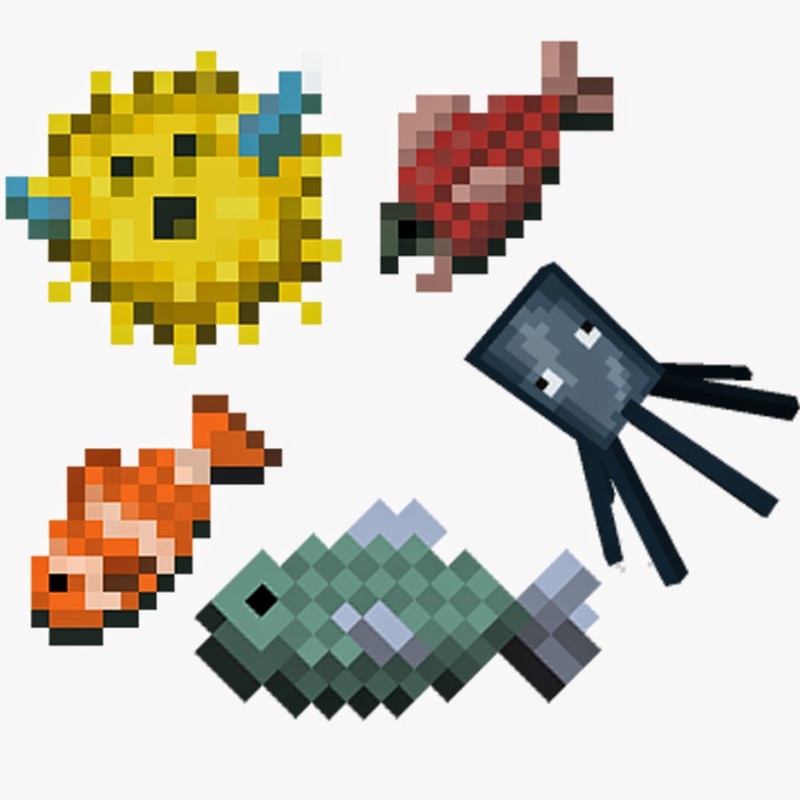 The next thing we did was make a Minecraft magnetic fishing game! And then just cut fish out of Astrobrights paper! Easy peasy. I laminated them and taped a paperclip on them somewhere. using a blanket as the pond. and printed it on address labels. Then just wrapped them to water bottles from the store. I have a Badge-a-minit Button Maker. A 2 1/4" starter kit will run you about $30. Um, but they are loads of fun! Then you can just print this off...cut it out and bam...make buttons! The kids at our party colored the backgrounds too! The last craft we did for the party was Decorations! We used lots of Astrobrights paper...what could be simpler than minecraft pixeled shapes? My daughter was in charge of decor. The Ghast Lanterns were perfect! We got 3 square lanterns from Oriental Trading Company. We strung up our perler beads as a garland too. And last were the invitations. We needed a bunch of them and these were so simple to make. A 4 inch brown square with a 2 inch pixeled grass line. With all the party details just taped on the back! So Easy! Finally, on the day of the party, my oldest son put up a Nether portal on the front door! We decorated with lots of green, purple and black balloons! Super fun...come see how the party turned out tomorrow!